Ninjas have taken over the city of Koka, Japan but there’s no need to worry – these ninjas are just trying to make ends meet with a day job. National Ninja Day takes place on February 22 but some celebrants are keen to get in the mood a few days early. 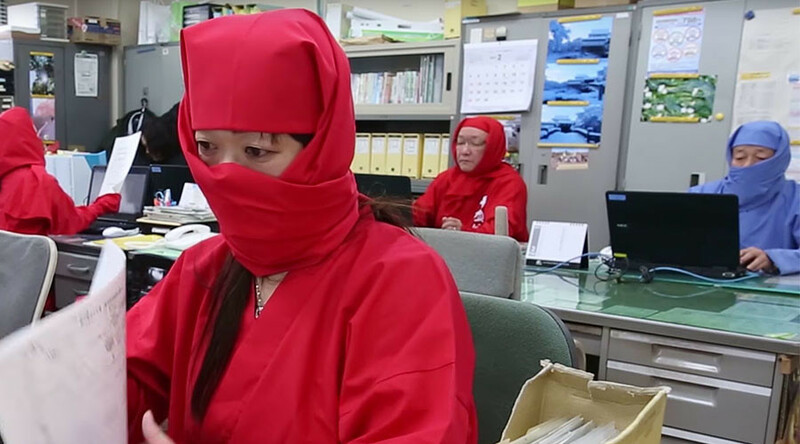 Donned in traditional shozoku, the garment of choice for a ninja, staff at Koka’s tourism office celebrated the annual event by dressing up as the famously skilled and nimble warriors. “The most important thing for ninjas is to be able to handle information. As we are working in tourism, it is also very important for us to release information about sightseeing spots,” Tatsuya Makino from the office told RT. National Ninja Day is celebrated in Koka and nearby Iga, both historical strongholds for the fighters. It has yet to become a national holiday in the country, presumably leaving locals to use their ninja skills if they want to sneak out of work unnoticed. It falls on February 22 due to the relevance of the number two, pronounced “ni” in Japanese, making the date sound similar to the word ninja. Events taking place to mark the day include a lesson for kids in how to throw shuriken, the lethal stars used by ninjas. Luckily these stars will be made from paper only, for safety reasons. Ninja parties, a sword exchange and, bizarrely, a road safety awareness tutorial from staff dressed as ninjas will also be part of celebrations.